Twenty-year-old Hasan is a university student from Jordan. He’s been a part of the Be My Eyes community since its launch in 2015 and uses the app for pretty much everything! The volunteers, Hasan thinks, are what makes Be My Eyes special. “Volunteers from every language”, he says, are always very friendly and patient with him, which stands out to him the most. Moreover, Hasan appreciates that volunteers always make a diligent effort to try to understand the task or issue that he needs help with. They listen well and show Hasan that he is well-equipped with the tools he needs. Hasan usually use the app to differentiate between currency, identify the color of his clothes, and read articles or other texts. Oftentimes, Hasan uses Be My Eyes for issues he encounters on his computer, particularly with websites that are not accessible for a blind individual. He solves these kinds of problems by calling a Be My Eyes volunteer to guide him through the website. On another occasion, a volunteer helped Hasan install Windows in his computer. Although Hasan is an iPhone user, the Android version launch meant a lot in terms of inclusivity to him. 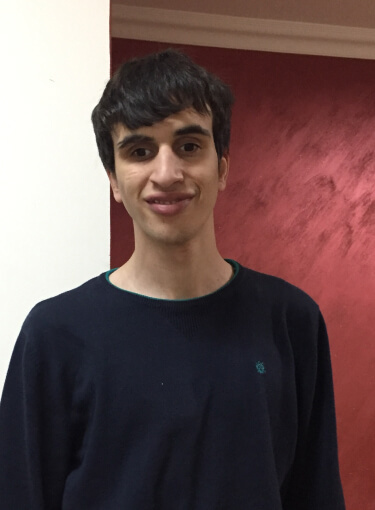 To Hasan, it was gratifying to know that so many more blind and low-vision people could receive help from Be My Eyes volunteers. I was so happy when it was released for Android, because not all people who are visually impaired have an iPhone. Now I’m sure that Be My Eyes is available for everyone.